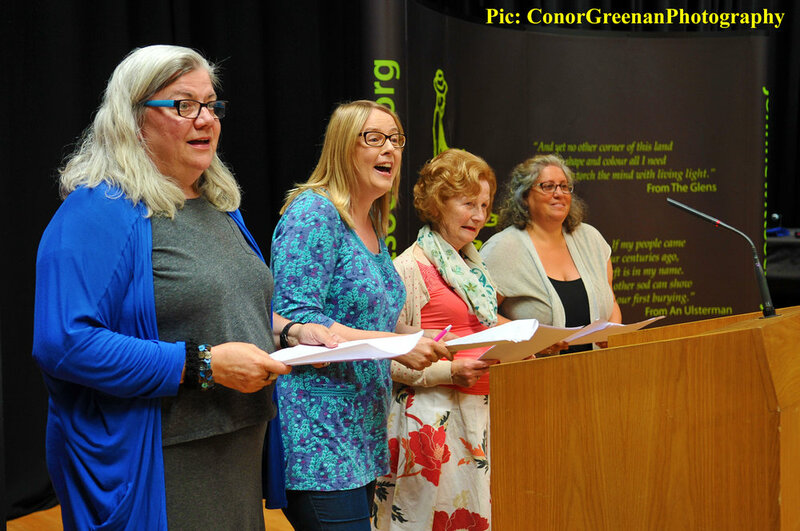 The John Hewitt Society provides opportunities for individuals across Northern Ireland to explore issues of difference and identity through literature and creative writing. 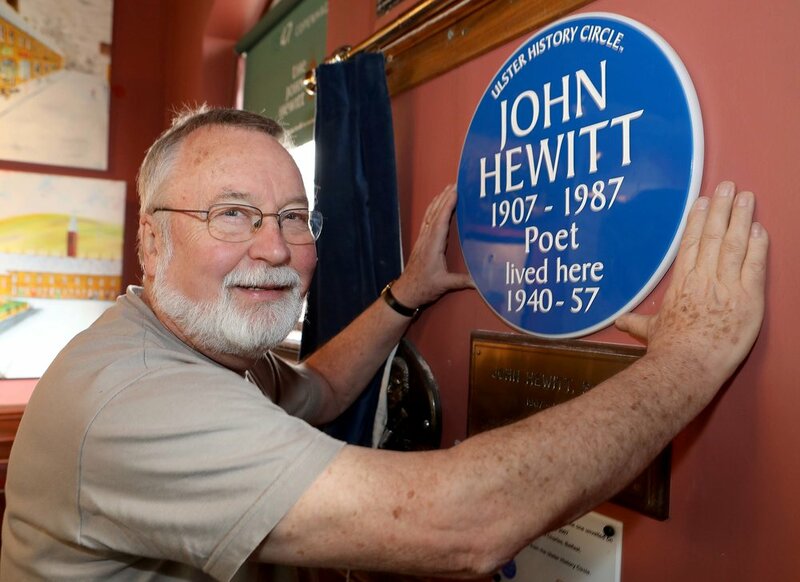 Inspired by the ideals and ideas of the poet and political writer John Hewitt, The Society was established in 1987 to promote Hewitt’s ethos of utilising literature and the arts as a medium for tackling prejudice, exclusive concepts of identity, and sectarian hostility. For thirty years The John Hewitt Society has developed a range of literary and cultural activities to break down parochialism, narrow, exclusive concepts of identity, and hostility towards the ‘other’. 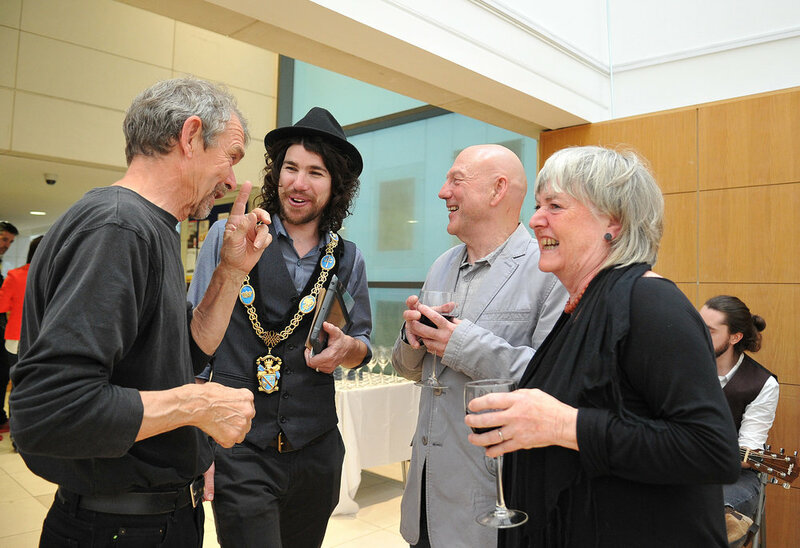 The effectiveness of our activities has been recognised by our funders and supporters, including the Community Relations Council and the Arts Council of Northern Ireland. Hewitt’s significant role in Northern Ireland’s literary heritage offers the Society an opportunity to explore and sustain this creative tradition by organising readings, both for up and coming local writers as well as national and international writers and artists, offering a platform, a critical audience and modest fee income to both young and established writers. Hewitt’s work and writings transcended traditional divisions, particularly his love of the Ulster landscape and his concept of regionalism, and lend themselves not only to the expansion of the public’s enjoyment of literature in general, but also the exploration, and repair of Northern Ireland’s deeply divided society. The Society actively promotes cross-community and cross-border links and, through its work, it plays a very real role in reinforcing the peace process in Northern Ireland, by providing safe, neutral spaces for its activities and creating cultural activities and events to encourage debate, understanding, tolerance and acceptance of cultural diversity. 2017 marks 30 years since John Hewitt’s death & the first Summer School that was established in his honour. In this anniversary year, The Society seeks to offer even more opportunities to engage readers, support writers and inspire the next generation with great literature. Eilish Clerkin | Margaret D’Arcy | Seamus Deane | Brian Garrett | Marie Jones | Edna Longley | Michael Longley | Terence McCaughey | Carmel McGuckian | Keith Millar | Tom Paulin | Lord Rana, Baron of Malone.